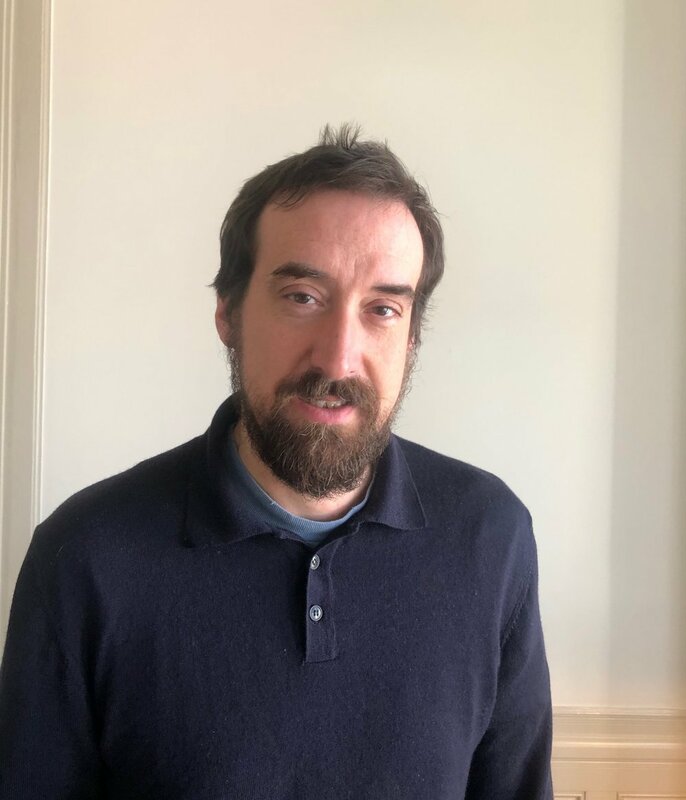 Matthew MacKisack is a cultural historian and a Postdoctoral Research Fellow at the University of Exeter Medical School. His research explores the intellectual and cultural history of imagining; he recently co-curated 'Extreme Imagination - inside the mind's eye', an exhibition of art by people who cannot visualise. The term ‘aphantasia’ was coined by Adam Zeman and colleagues in a research paper in 2015. Following description of the paper in the popular press, many thousands of individuals contacted Zeman to say they too were ‘aphantasic’, and many of them, to the researchers’ surprise, said that they maintained a creative practice. And the notion of, in particular, visual artists who cannot visualise is surprising. Why? Most likely because it contradicts some common assumptions about how artists work (probably owed to the continued strength of the ’Renaisance genius’ stereotype): that to make anything one has to be able to imagine what the thing will look like; that making art essentially entails having an idea then realising it in the world (Panofksy 1968). To understand how aphantasic artists do work, we developed an exhibition of their art – the 19 participants included architects, milliners, and all levels of professional ‘art world’ involvement - and asked them to describe their working processes. We soon found that, for many of these individuals, art-making replaces ‘mind’s eye’ activity. What is immediately noticeable is the way that ‘physical’ work replaces mental work. Painting takes the place of visualising or dreaming. Secondly, by making the images the artist ‘discovers’ something (about themselves? ), which they did not or could not foresee: ‘imagery’ which before putting brush to canvas had been ‘latent’. We’ll come back to this in a moment. There are several points of agreement in another account, from Australian artist Susan Baquie. The particular work she is referring to was made, she says, in response to news of the suicide of an acquaintance. As for both Bakes and Chance, ‘physical’ work – here, pre-existing materials combined, altered, and added to a surface – is taking the place of ‘mental’ work, in as much as the collage gives form to something that the artist could not do by mental imagery. Also, as for Chance, there is no conscious plan for the work to depict a specific object or scene, and again, there is a sense of discovery: that it is a depiction emerges retrospectively, by the artist perceiving what they have already produced and recognising it as a ‘figurative representation’. This use of the canvas or picture surface as a surrogate ‘mind’s eye’ is, I think, explained well by ‘extended cognition’ (Clark & Chalmers 1998): the individual brain performing some operations, but delegating others to physical manipulations of external media. Chance’s painting and Baquie’s collage on this view are outsourced processes: a way of manipulating data that, as Clark writes ’the biological brain would find hard, time consuming, or even impossible’ (Clark 2003, p3). Impossible is the key word here. Non-aphantasic artists also (contrary to stereotype) work by adjusting physical marks until they ’look right’ – when sketching out an initial idea, for example. And they do this rather than simply visualising what they want then executing it, claims Clark, because visualing is inherently limited. Mental visualisations are ‘interpretatively fixed’ (Clark 2003, p76): they are what the visualiser makes them to be. By starting to draw, however, the artist begins a feedback loop, in which each mark they make suggests possibilities for the next. The artist ’perceptually, not merely imaginatively, re-encounters visual forms, which she can then inspect, tweak, and re-sketch’’ (Clark 2003, p77). Now, Clark’s claim about why artists sketch is based on the limitedness of imagery per se, disregarding individual differences. The aphantasic’s mental imagery, however, is more than limited – it simply cannot be voluntarily experienced. So while the non-aphantasic might indeed sketch for the reason Clark gives, the aphantasic artist is obligated to make ’physical’ images if they want to see what the thing they are thinking of looks like. They have extended image-making as a cognitive process to include paper, paint, and canvas, using those materials for a task that their brains in particular find impossible. On the basis of the reports, then, we can reasonably describe what these artists are doing as distributed or extended imagining. But the phenomenology of aphantasic artistic production – the 1st-person ’what it is like’ to make art or be creative in such circumstances – also provokes further questions. What, for example, can Michael Chance mean when he says he is ’discover[ing] latent imagery’? Is it that these artists have an ’inner’ representation to guide the production of an ’outer’ representation? If so, where is it? Is it unconconscious? Inaccessible? These are a matter for further work, but one related question we can briefly address here concerns the issue of voluntariness. Imagination as it serves creativity is cognition ostensibly under the will of the agent (Stokes 2014). A person decides to take on a project then deliberates, hypotheizes, etc. While both Chance and Baquie decide to make work, then decide to work in the way that they do – i.e. painting, collage - they also describe things happening unwilled. They talk of ’discovery’, of images emerging (either in the moment of execution or retrospectively) outside of immediate voluntary control. If aphantasic art-making is a form of imagining, is it, on this basis, more like dreaming, as Michael Chance feels it to be? Again, non-aphantasic artists will also incorporate involuntary events and actions into their production processes, but we are interested here in how aphantasia might lead or even obligate an individual to create. In the knowledge that the majority of Zeman et al 2015’s participants reported experiencing imagery in dreams, confirming a significant dissociation between voluntary and involuntary imagery, we are left wondering if aphantasic visual imagining can happen, but only without the agent’s intention - in dreams or as an extended cognitive process, using paint, paper, and canvas. Charcot, J. M., & Harris, R. (Eds.). (1991). Clinical lectures on the diseases of the nervous system. London: Routledge. Clark, A. and Chalmers, D. (1998) The Extended Mind. Analysis , Vol. 58, No. 1. pp. 7-19. Zeman, A., Dewar, M., & Della Sala, S. (2015). Lives without imagery: Congenital aphantasia. Cortex, 73, 378-380. Zeman, A. Z. J., Della Sala, S., Torrens, L. A., Gountouna, V.-E., McGonigle, D. J., & Logie, R. H. (2010). Loss of imagery phenomenology with intact visuospatial task performance: A case of ‘blind imagination. Neuropsychologia, 48, 145-155.